Are you ranked first on a search engine result page (SERP), but notice that your traffic numbers are steadily declining, or plateauing? If so, you may be upset to find out that Google has betrayed you. That's right, the all-powerful Google is taking traffic away from top-ranked sites, not because they are trying to penalize them, but because they have found a way to give people what they want, without having to leave the SERP. Sneaky, right?A few years ago, if your post or webpage ranked first on a search engine result page, you were loving life. Your year-over-year (YoY) traffic totals steadily climbed, your website gained authority, click-through-rates were high, and maybe your form submissions were increasing. Now, your evergreen content, which once propelled you to the top of a search result page, is receiving fewer clicks and impressions, but the strange part is, you are still ranking first on Google for your targeted keywords. 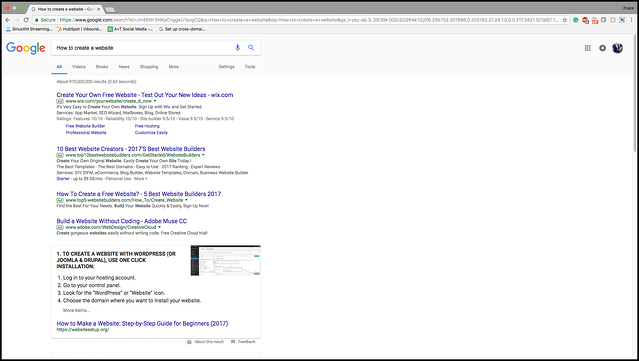 Well, Google has found a way to take your search engine optimization efforts, reward you with the first ranking on a SERP, then one-up you by supplying people with the answer to their question before they ever get a chance to see the link to your site. Google's implementation of featured snippets and adaptation to conversational search are changing the way marketers everywhere will approach SEO, paid search ads, and keyword targeting into the foreseeable future. Have you ever searched Google for a definition? If you have, then you have seen a featured snippet. 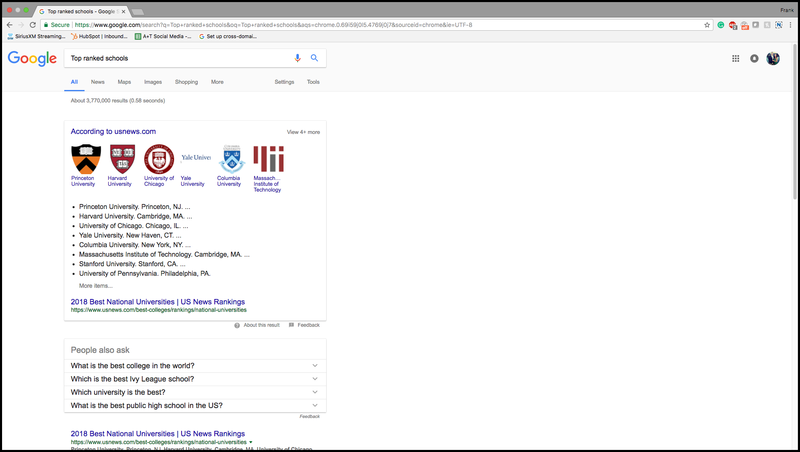 A featured snippet is a block of text that contains the answer to your search. 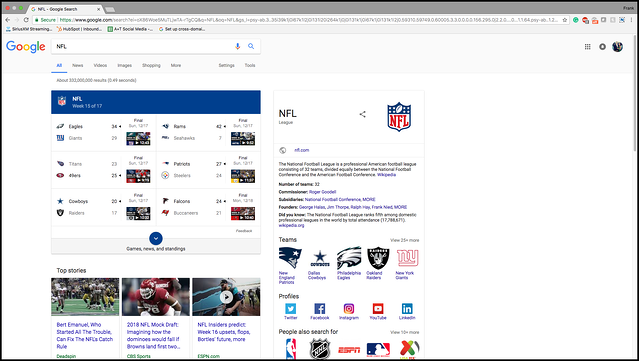 When Google can provide a featured snippet to your query, it becomes the first thing on a search engine result page. First, above paid ads and organically ranked results. 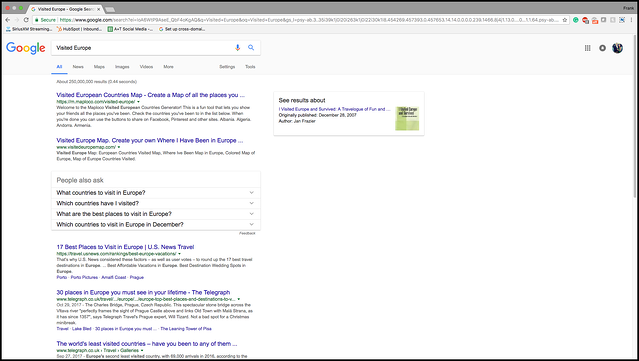 Now what is even better, is that Google doesn't stop with featured snippets. They also include (when available), a section immediately following a featured snippet called "People also Ask". This is a list of search terms that are related to your search, in case you didn't find your answer in the featured snippet. 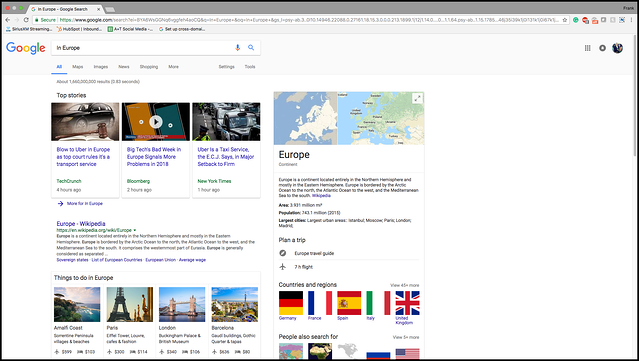 As you can see there are many different places you can find the answer you are looking for without ever clicking on a traditional Google result. How does this impact marketers? Take a look at a blog post that HubSpot just published. In this article, HubSpot covers how they discovered the impact snippets have on their first ranked, and top traffic-generating content. In some cases, they saw a 60% year-over-year decline in traffic to a first ranked link. Unfortunately, featured snippets, top stories and what other people also ask, are not the only reasons why your analytics may be showing a drop-in traffic. The way we search and interact with Google is also taking a toll on our SEO efforts. In the blog post, Search Engine Optimization (SEO) trends in 2018, we discussed the shift in conversational search and how it impacts our rankings, SEO strategy and the need for a new content strategy. However, one thing that was not covered in that post is the fact that Google has become so intelligent, that it now can serve us differently featured snippets based on the tense of our queries, even if the entire structure of our search remains the same. 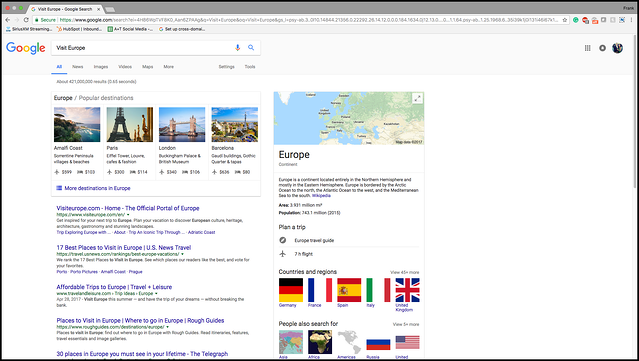 For instance, when you search Visit Europe, Visited Europe, and In Europe, you receive three different search engine result pages. Not a single one is identical, but a few years ago the likelihood of these pages looking identical was much higher. The content was written for short-tail keywords and search queries were shorter in length. Today, search terms are conversational and long-tailed, meaning specific. No longer are you looking for "Dunking Donuts," or "Starbucks." Instead you are searching "Where is the nearest coffee shop?" Google is smart enough to yield a map of coffee shops near you with the distance and directions to each shop, opposed to the old "Dunkin Donuts" search that would yield a Dunkin Donuts website result, that you are now left using to locate the nearest Dunkin Donuts. The number of featured snippets on SERPs has grown 328% since summer 2015. By some estimates, just under 1 in 3 Google searches now returns a featured snippet. HubSpot has created a 3-step guide to dealing with these changes. However, just because they have offered guidelines, taking back the traffic you lost will not be easy. It is likely that if you used to rank for a search term or keyword that now serves a featured snippet, your traffic numbers may never reach what they once were. Unless you become the snippet. Become the Snippet. Look at old posts that are not being served as a snippet and create new posts with that content. The new post should have featured snippets in mind, for example, H1 tags as a numbered or bulleted list. Locate New Opportunities. Featured snippets are here to stay, so if you search for something relevant to your blog and there is no featured snippet, view that as an opportunity. Create content for that topic and the topic areas around it to create authority and possibly be placed in that snippet section of a SERP. Long-tail keywords can get longer. Instead of creating content for "short" long-tail keywords, create short content for variations of longer-tail keywords. This supports your pillar content and gives your top ranked pages even more authority.